A lot has already been written to educate business owners and SEOs about the benefits of switching to HTTPS. Despite the several benefits of HTTPS migration, numerous website owners haven't done this yet done. They may have their doubts about that should be addressed properly. To enable webmasters understand those very benefits of HTTP to HTTPS migration and how they could begin the process effortlessly, I am writing a very crisp and informative piece here. Hope it will help you. HTTPS encrypts the data exchanged to make transaction secure from eavesdroppers. The encryption ensures that while browsing, no one can intrude intrude into conversations, track activities across multiple pages or steal information. Data integrity is another key advantage that HTTPS serves. Which means, data cannot be compromised during transfer and any alteration made to the data can be easily detected. Authentication ensures that users are on the right website at a time. HTTPS authentication protects against man-in-the-middle attacks and builds user trust. Besides these benefits, the migration may add ranking boost as well. HTTPS switch also prevents websites from injecting ads into their hotspots. 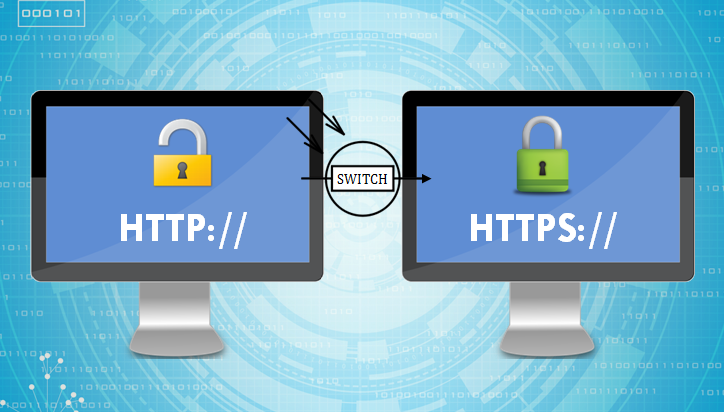 Here is the order you should follow in order to switch your website to HTTPS. During the migration, following are the hurdles that could stall the process- Error may occur when Google starts crawling the HTTP version of the websites Content duplication issues, with both HTTPS and HTTP versions of the pages showing; and different versions of the page showing on HTTP and HTTPS. Like all SEO strategies/proclamations/suggestions, I wouldn’t put too much emphasis on any one thing. On the off chance that including a SSL is advantageous for your visitors, do it for them. In case you’re doing it essentially for the SEO advantage, your efforts may be better spent somewhere else on the x different factors that impact rankings.